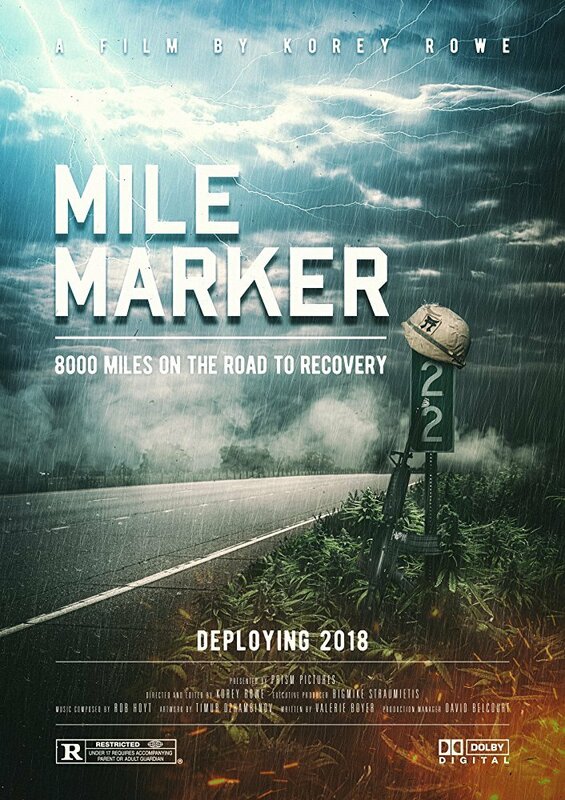 “Mile Marker” focuses on a two-tour veteran of Afghanistan and Iraq, Korey Rowe, along with his former Rakkasan Brothers on their long road to recovery from PTSD. The Rakkasans were the invading force for both Middle Eastern Theater Wars where Korey and his unit were the tip of the spear, twice. This film investigates new and controversial techniques and methods for treating PTSD but more than that, it is a look into the lives of veterans in America today. Travelling 8,000 miles across the United States and back, Korey departs from his home in California, to check in with his former battle buddies across America, who served with him 15 years ago in the 187th Infantry Regiment of the 101st Airborne Air Assault Division. Along the way, he interviews psychologists and specialists from the National Center for PTSD in White River Junction, Vermont for a balanced understanding of the underlying symptoms and associated triggers for those with PTSD. This is an authentic portrayal of veterans today in America and their bitter combat to overcome drug addiction, criminal issues, and their individual struggles with Post Traumatic Stress Disorder, disclosed by the vets who have lived through it, and survived this growing epidemic. The number 22 is universally associated with 22 veterans per day committing suicide. Through investigation and understanding those veterans, only then can a solution be proposed to reduce that tragic number.